Create Film & Video is a worldwide supplier of high quality B2B video production services for Publishers, Brands, Agencies, SMEs and more. We're a one-stop-shop for bespoke animation, location shoots, studio shoots, product videos, case studies, tutorials and more. Speaking to Marketing Managers, Owners, Sales Managers? They will need video to market their business. We can help. We work with Filmmakers across the globe to create bespoke video content that engages both head and heart. Whatever your client needs, and wherever they are, we can help; UK, Europe & Russia, US & Canada, South Africa, Asia, MENA, Australia and beyond. 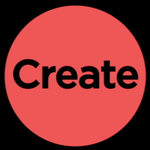 Create Film & Video Ltd was founded by Pete Fergusson, who previously ran the in-house Commercial Video team at The Telegraph Media Group in London (Publisher of The Daily Telegraph / Telegraph.co.uk). We are a video production company with unique heritage, insight and empathy. Someone interested in online video and marketing. Can do, positive attitude with the foresitght to see the potential available here.